Today is apparently my lucky day. My choice of parkrun and my choice of film. My choice of parkrun is Markeaton but we are slow. Maybe because I had my work’s Christmas party last night or maybe because MD just isn’t up for it and stops for too many comfort breaks. Then L has Pilates which we hot foot to via the sorting office to pick up a parcel. I am then at home attempting to polish the unpolishable bathroom floor when we have a present delivery from L’s sister’s family. 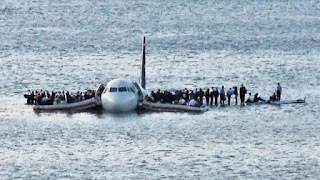 In January 2009 Captain Chesley Sullenberger (otherwise known as Sully) crash landed US Airways Flight 1549 into the Hudson River after colliding with a flock of birds which knocked out both engines just thirty seconds after take-off. Incredibly the aircraft stayed afloat long enough for all 155 people on board to be rescued amidst very cold conditions. From the moment the plane lost power there were only 208 seconds before it crashed. That’s not a lot of time to work with if you want to make a film. 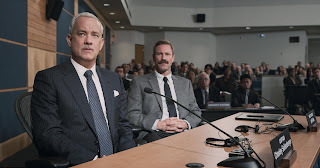 So director Clint Eastwood mainly focusses on the aftermath as Sully (Tom Hanks) deals with the resulting media attention and then, along with his co-pilot Jeffrey Skiles (Aaron Eckhart), faces goes the National Transportation Safety Board who are investigating the incident. Although Eastwood also struggles to make a story out of that. Oddly the investigation seems to take place immediately after the incident and we don’t even see Sully go home to his wife, Lorraine (Laura Linney), who we never actually see without a telephone attached to her ear. Neither she nor Sully seem very fazed by the fact he’d just been involved in a place crash. The flight was bound from New York's LaGuardia Airport for Charlotte and the investigation asks whether the plane could have made it back to LaGuardia or to nearby Teterboro Airport in New Jersey. Flight simulations allege that the plane could have successfully landed at both LaGuardia and Teterboro. Sully however disputes this and argues that the ‘human element’ needs to be taken into consideration. This causes an immediate sea change in the investigation as if they’d never thought of something so bleedingly obvious. 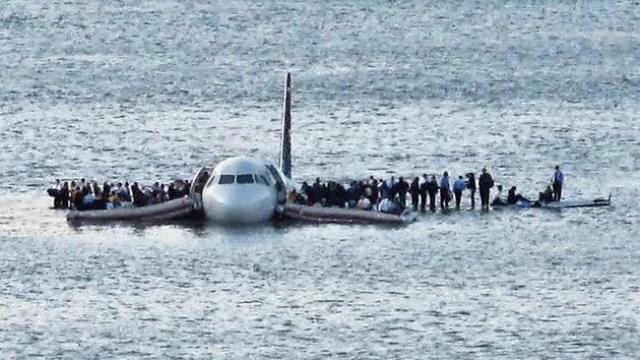 35 seconds human reaction time is then allocated, the simulations are rerun, the planes crash and now Sully can officially be declared a hero. I’m sure it didn’t quite happen like that. There is nothing particularly wrong with the film except that there isn't really a story here to tell. 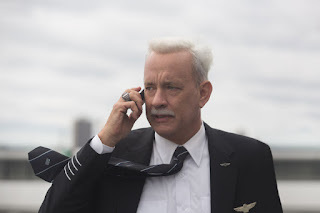 I’m also sure the NTSB’s investigation was more to ascertain the cause of the accident and to ensure it wouldn’t happen again rather than the total witch hunt against Sully as is portrayed here. The crash landing into the Hudson was the story but they seemed to go out of their way not to make a disaster movie which is fair enough, we have had more than enough of them. Instead the story is so flimsy that the film wraps up in 90 minutes and that’s after they have needlessly shown the whole crash landing sequence twice. I didn't know that much about this story beforehand so I went in hoping for more insight but didn’t learnt much. 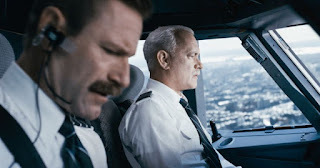 However there are some nice shots of the real Chesley Sullenberger at the end as they show film of the flight's reunion. Afterwards it’s drinks in the Scribblers and Blue Monkey.